Goran Bregović is a Yugoslavian musician, born in Sarajevo to Croatian and Serbian parents. He began attending a music school for violin at an early age but, ever the rebel, was “thrown out” by second grade. When Bregović first established himself as a professional musician, it was with his rock band Bijelo Dugme (White Button). Bregović is known for highly theatrical concerts and music that melds pop, rock, and electronic elements with a classical approach. 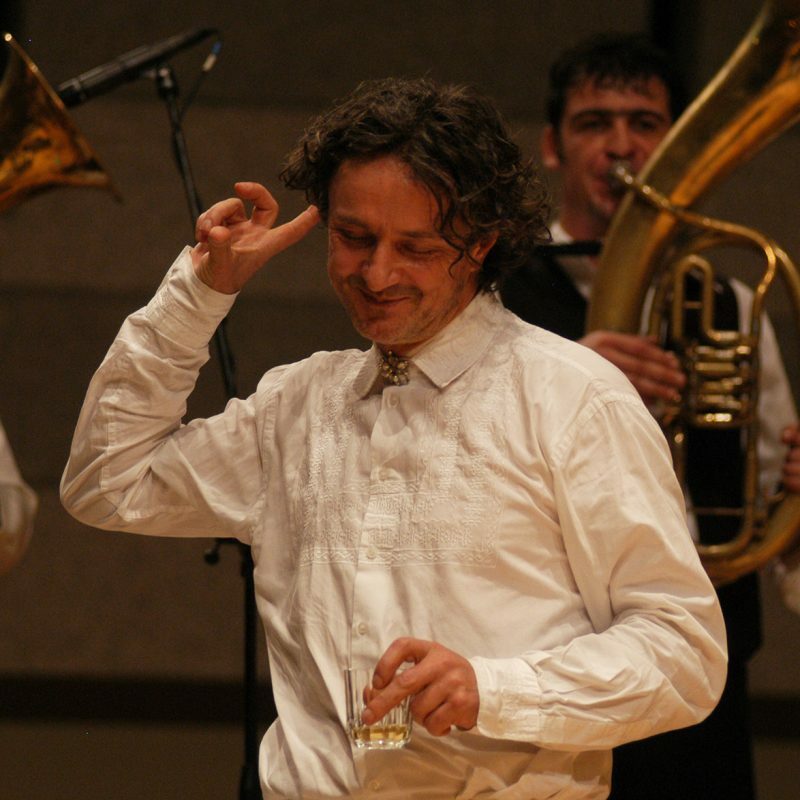 His Wedding and Funeral Band is made up of wind instruments, brass, percussion, and vocalists, working in a unique style that incorporates everything from Corsican, Georgian and Bulgarian chants to folk music. Fascinated by Romani musical traditions, Bregović incorporates Romani melodies and sonorities into his work. One of the Balkans’ most well-known musicians, Goran Bregović’s reach extends far beyond the region. He draws enthusiastic crowds all over the world and has been recognized with awards from numerous countries. He is the recipient of the Croatian Porin Special Merit Award for Achievement in Music, and in 2015 received the medal of Chevalier des Arts et des Lettres from the French Ministry of Culture. Bregović’s latest album with his Wedding and Funeral Band was written as a metaphor for the strained coexistence of Sarajevo’s three prominent religions: Christianity, Judaism, and Islam. He views the situation in Sarajevo as a “metaphor for our times” when surface-level differences so quickly lead to conflict and violence. Three Letters from Sarajevo makes use of a variety of musical styles, including three distinct styles of violin playing that characterize the three religions through their different musical traditions. The artists featured on the album are themselves an eclectic group: from Spanish singer Bebe to Algerian musician Rachid Taha to Asaf Avidan and Riff Cohen of Israel. With this recording, Bregović continues his mission to demonstrate the incredible centuries-old impact of Romani music on classical and popular music. With his current world tour, he introduces Three Letters from Sarajevo to nearly 130 international venues. Bregović has had a diverse career to say the least. 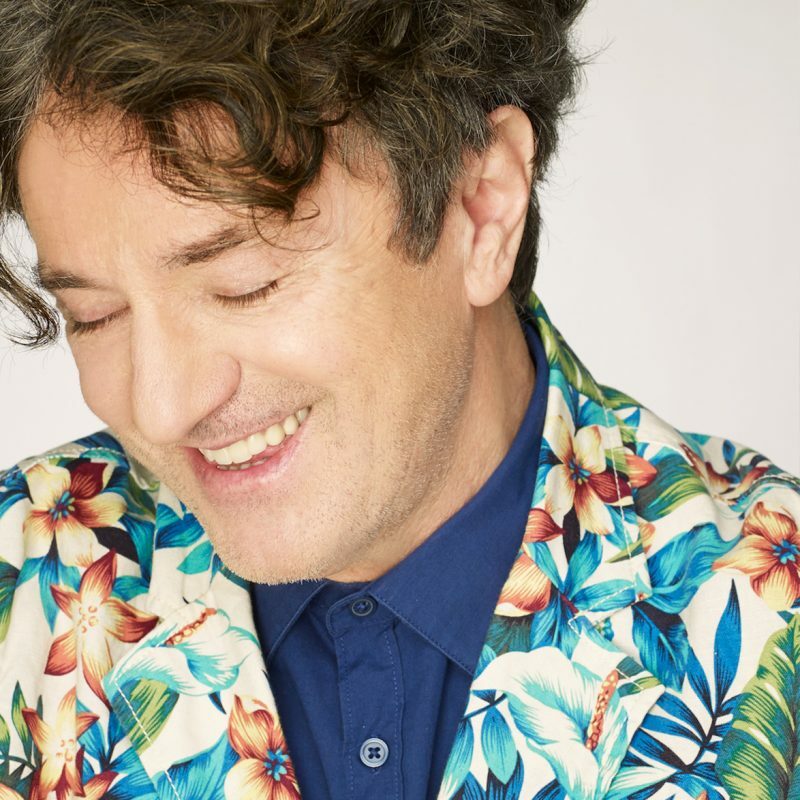 In addition to being the “Led Zepplin of Yugoslavia” with Bijelo Dugme and delving into Romani music with his current project, Bregović has written music for films by Bosnian/Serbian director Emir Kusturica, and has composed for Iggy Pop. 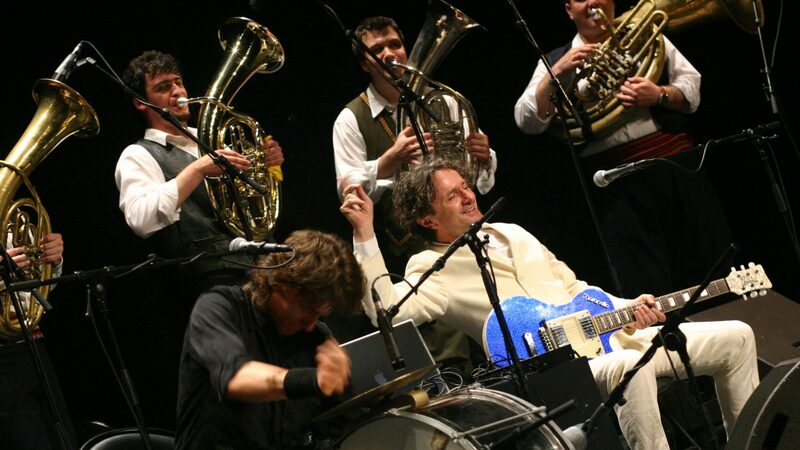 See Goran Bregović and His Wedding and Funeral Band at the Chan Centre on Sunday October 21st, 2018 at 7pm.